This week’s Big Brother 13 Power of Veto competition was vital to the current Head of Household to keep their plans for the eviction nominations in place. For those up on the block, it was even more important as either of them could possibly end up pawns sacrificed by the players in power. So who managed to pull out the win and put the Power of Veto in their pocket this week? Just click underneath the SPOILER alert below if you want to know! The players for this week’s Power of Veto competition were Daniele as Head of Household and Adam and Shelly as the nominated players. Jeff, Jordan and Kalia were randomly chosen to play and Porsche was the host. Adam has won the Power of Veto competition, which is great for him since he was one of the players up on the block for eviction, along with Shelly. Although Adam would have been less likely to get voted out than Shelly or a possible backdoor nomination person if someone else had won it, it is never safe to be on the block. Adam will no doubt use the Power of Veto to take himself off the block so Daniele will have to make a renomination. This could leave Shelly up against Brendon, if Daniele follows through on noise she has been making about having Kalia backdoor him despite promising him and Rachel she’d leave them alone this week. Everything is up in the air right now though. Shelly seems to have won a phone call in the Power of Veto competition, but she is also now in isolation. Daniele won a Power of Veto ticket, which apparently will let her play for the POV any time she wants that she isn’t already eligible or picked for it. Jordan was cursed with wearing a unitard, but she looks cute in it so that’s no horror. Jeff won cash and Kalia won a vacation. The Veto ceremony will likely take place on Monday and we’ll bring you all the Big Brother 13 spoilers. Get on to the Big Brother live feeds and check out all the action yourself with a 3-Day Free Trial from RealNetworks SuperPass. Holy Batman it is getting totally crazy in the Big Brother 13 house! 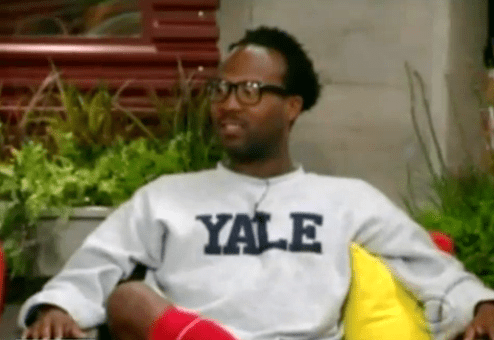 We thought things were dramatic enough when Lawon volunteered to get himself evicted in what may have been the stupidest move in Big Brother history. Then we thought it could not get more tense in the Big Brother house than watching Brendon stroll back into the house and Daniele and Kalia get totally freaked out by him coming back. But wow, the insanity just kept coming today as the new Head of Household suddenly changed their mind at the very last minute about who was going to put up on the block. Find out who was nominated for eviction this week by clicking underneath the SPOILER alert below! Daniele, who won this week’s Head of Household competition, swore to Kalia after Brendon came back in the house that he had to go back up and he was guaranteed gone unless he won the Power of Veto. When time came to make her nominations though, Brendon was NOT put up on the block! Neither was Daniele’s arch nemesis Rachel! No, instead, Daniele appeared to suddenly change her mind and accept a last minute deal with Brenchel not to nominate them. So Daniele put Adam and Shelly up on the block instead. Daniele told Adam the plan is to backdoor Brendon. But she’s double talking to everyone, promising safety to Brendon and talking about backdooring Jeff. Who ends up as the pawn and who ends up as the target this week will be all about the Power of Veto competition. Shelly is crying, Rachel is calling her out. Everything is chaos and things are getting nasty! If you have the Big Brother live feeds, turn the Flashback to 7:15PM BBT and start watching all the action for yourself! Follow us on Twitter @bigbroaccess to get up-to-date info from the game. Or sign up for your own 3-day free trial of the RealNetworks SuperPass and watch all the action & drama on the live feeds day and night. With Lawon putting himself up for eviction and pretty much everyone on board for letting him get evicted, Thursday started off rather slow in the Big Brother 13 house. That all changed after the crazy live eviction show, of course, when all hell broke loose on the Big Brother live feeds! The houseguests got a late start on Thursday morning and half of them didn’t even start waking up until after 10AM BBT. Kalia and Shelly shack up in the Head of Household room for a bit to talk about Lawon and Rachel. Kalia thinks Rachel is a pathological liar and Lawon is an idiot. Shelly tells Kalia that she thinks that no one is coming back and Kalia has been talked into this whole Lawon thing. Shelly says she thinks she can control Rachel, but Kalia says no way with all the “venom” she has. Kalia says she doesn’t think Porsche is as dishonest as Shelly thinks she is. Last night in the Big Brother 13 house was just a whole lot of crazy. First we had an eviction that just left us shaking our heads in mass confusion. Then we had a nutsy new twist to the game that has shaken up the whole house. To top it all off, we had a Head of Household competition who is absolutely certain to cause extreme drama in the house this week. Isn’t it grand? With so much jam-packed into last night’s Big Brother 13 episode on CBS, the Head of Household competition hasn’t yet been aired. So if you want to know who the winner is, you’ll have to click underneath the SPOILER alert below. So last night on CBS, we watched Lawon get himself evicted, while acting totally batty and weird the whole time. He honestly seemed in a state of shock when he figured out how the ‘twist’ was going to work out and found himself going up against previously evicted houseguest Brendon in a vaguely ‘athletic’ competition to return to the house. You know from the moment the two men faced off that there was no way Lawon was going to win. Brendon is now back in the house and this has pretty much reversed nearly all of the recent game play moves made by veteran player Daniele. So with Brendon and Rachel back in the game and everyone but Kalia pretty much sick of Daniele’s backstabbing ways, she seems pretty screwed, right? Well, then the wench had to go and make things all the more crazy by doing the one thing she could do to make sure she survives another week. She won the Head of Household competition. That’s right, Dani is back in the HOH room. Will Daniele work to split up Rachel and Brendon once again? Especially since she HAS to know Brendon has a target sign painted all over her? Or will she try to wheedle a deal with Brenchel, maybe to tackle the difficult task of splitting up Jeff and Jordan? Or could an attempt possibly be made to reform the veteran alliance at this late date? If so, would anyone really actually trust Daniele again? So many questions, so many Big Brother live feed cameras to watch! Get in on all the drama going on right now in the Big Brother 13 house with a 3-day free trial of RealNetworks SuperPass. And don’t forget to follow us on Twitter @bigbroaccess to get all the up-to-date info from the game. Big Brother 13 Episode 16: Live Eviction and Twist Results! Tonight on Big Brother 13 on CBS, everything went all kinds of crazy. This is the kind of wild and wacky fun we expect from Big Brother! The results of the live eviction are now in along with the results of the America’s Vote Twist challenge. So read on to find out who was evicted from the house this week and what happened with the twist! If you have been following the Big Brother live feeds at all, it became pretty clear that Lawon was probably going to be the one getting evicted this week. The weirdest part being, of course, that he did it to himself willingly! He was pretty much sure that whoever got evicted would be able to return to the house and get some sort of special power or become Head of Household. The rest of the houseguests were more than willing to take advantage of his insane decision to volunteer to go up on the block. Despite having her nemesis Rachel on the block, even Daniele couldn’t resist taking the bait and getting Head of Household Kalia to put Lawon up.